‘I Am Ashamed!’ Felicity Huffman, 13 Others to Plead Guilty to Fraud - celebrities life, news, blogs, photos, gossip etc. Moving forward. 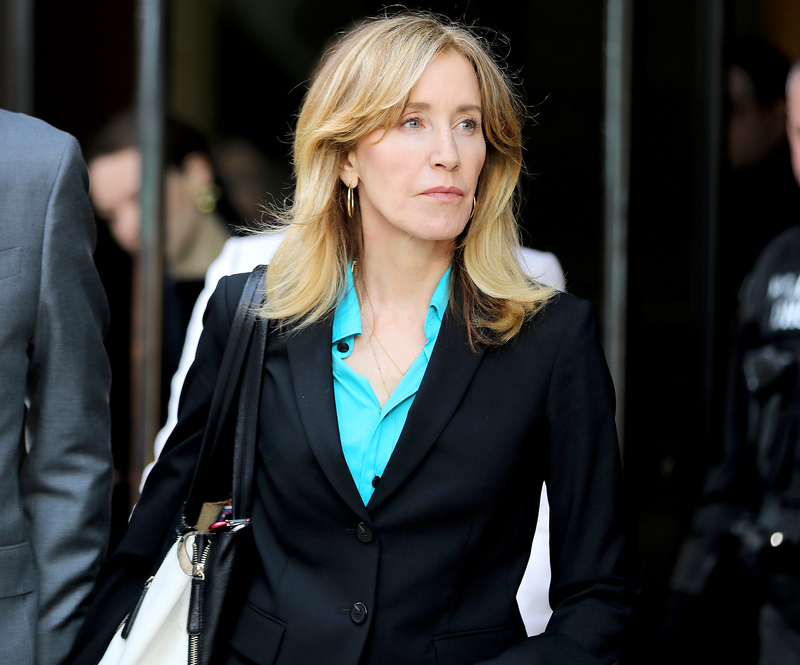 Actress Felicity Huffman, along with 13 other parents and one university athletic coach agreed to plead guilty to charges of fraud that helped facilitate their children’s admissions to colleges around the country, the U.S. Attorney’s Office announced on Monday, April 8. Huffman, 56, was one of 33 parents initially charged in the scandal, along with Fuller House star Lori Loughlin. On March 12, the Desperate Housewives alum was arrested and released on a $250,000 bond. She was charged with one count of conspiracy to commit mail fraud and, according to the complaint, paid $15,000 to consultant William Singer to boost her 18-year-old daughter Sofia’s SAT score. Singer admitted to hiring a separate proctor to monitor the exam and correct answers; Sofia scored a 1420 on the SATs, 400 points higher than she had scored on the PSAT. Her husband, Shameless star William H. Macy, was not charged in the case, although documents claim he “agreed to the plan.” According to the complaint, the pair, who also share daughter Georgia, 17, also made a $15,000 “donation” to Key Worldwide Foundation, Singer’s charity, in February 2018. Huffman is facing a maximum sentence of 20 years in prison, three years of supervised release and fines. A plea hearing has not yet been scheduled.